My decision around what boots I wear on the road is reasonably straight forward and generally based around look and comfort. On the track, however, things are very different. I have become so fussy about what boots I wear that, up until recently, I’d been wearing the same pair for more than five years. Not because I love the look of worn-out heels and glued-on toe-sliders, but because I hadn’t been able to find another boot that gave the same level of feel as the ones I already had. 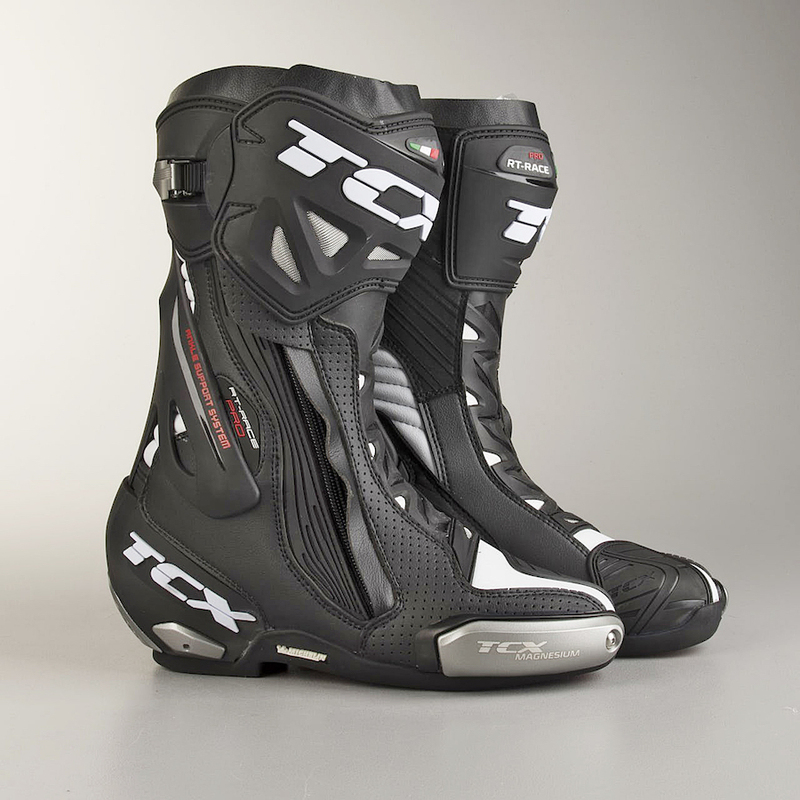 The team from Link International fitted me up with a pair of TCX RT-Race Pro Air boots. The same boots Johann Zarco wears when he races, in fact. After a short break-in period on the road, I took the plunge and wore them during a race meeting, and they instantly became my new favourites. What I like most about the TCX RT-Race Pro boot is the high level of dexterity they offer, without sacrificing protection. I have ankles a chicken would be embarrassed to have, so getting a boot to fit snuggly has always been a challenge for me, they mostly flap around on the end of my leg. By using strategically-designed injection-moulded components, and TCX’s own Fasten Fit Control (FFC) lacing system, the boot fits snuggly from the arch of my foot to the middle of my shin, and also around the spot where I should have calf muscles, without being too tight or uncomfortable. And the result is both excellent feel and complete confidence when dancing around on the ’pegs. There’s also little chance of my feet slipping off the pegs thanks to the Michelin dual-compound (yes, dual-compound Michelins!) 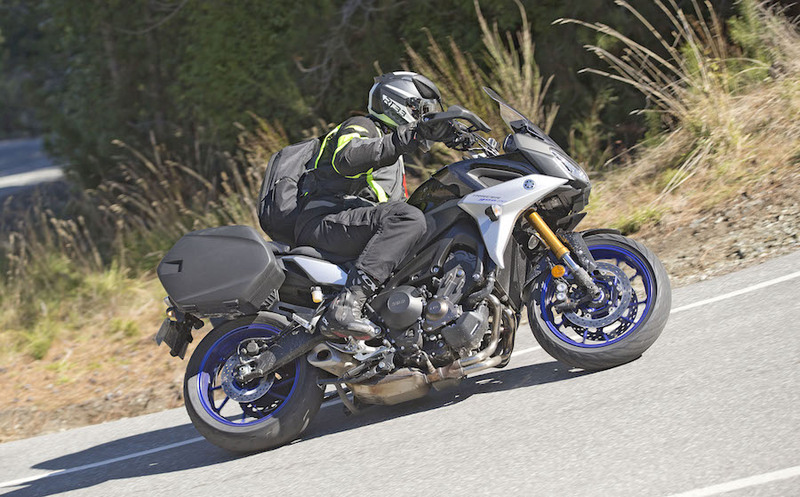 sole that feature specific grip areas for the footpegs, shifter and rear brake, while the entire inner area of the boot is made from abrasion and heat resistant microfibre. My day also no longer ends with me rolling around the garage floor trying to pull my boots off; the flexible front panel allows easy step-in and removal. In addition to a durable construction, safety is further enhanced by the Double Flex Control System (DFC) which limits hyper-extension of the ankle during an accident. There’s also a PU shin plate and replaceable abrasion-resistant magnesium toe and heel sliders. Helping to keep your feet cool and comfortable are the hundreds of little breather holes in the microfibre upper, as well as the soft-touch mesh lining. Is it the perfect boot? No, but it’s bloody close, but there is one things that pulled it up just short of a perfect five-star score – let’s call it a 4.80/5. The magnesium heel sliders are designed at a 45-degree angle to stop your heels snagging on something if you’ve parted company with your bike. A brilliant safety idea for track use, but they almost caught me out a couple of times on the road when I came to a stop and put my foot down, heel first, only to have my foot (and nearly the bike) slip from under me. You could argue that they are race boots and not road boots, so hardly a design flaw. Even a couple of standstill scares failed to change my opinion that the TCX-RT Race Pro Air boot is the best race boot I own, and I reckon they’re worth every cent of the $629 asking price.